Mark Agnew (right) with Clarence Foundation board members Bob Falsetti and Sally Jones at a 10th wedding anniversary celebration for my wife Kelly and I.
I lost a very important person in my life this week. His name is Mark Agnew, a former giving circle and board member of The Clarence Foundation, and my longtime Executive Coach. Mark was the CEO of a company called United Green Mark, which achieved great success in the irrigation industry. Upon selling the company, Mark devoted much of his retirement to supporting local and global causes. I’m proud to have been one of many who were touched by Mark’s generosity. Mark and I were a bit of an odd couple. He was a businessman and former CEO. I was a Social Worker by training and had spent my entire life in the nonprofit sector. Mark was a stereotypically big burly guy, a hunter, who would drive up to our lunch meetings in his larger-than-life pickup truck. I drove a Prius! We likely had very different politics, though we didn’t dwell on that much. We also had different faith backgrounds. Yet, Mark had a very deep sense of spirituality that touched his heart and enabled him to be an extremely effective coach. On the surface it would seem that Mark and I had little in common. But he taught me the most profound lessons about leadership. His enduring message to me is that people matter. You need to remember them. And they need to remember you. Mark told it as he saw it. No sugar coating whatsoever. He always prefaced his comments by saying that “my advice is worth .02 and a cup of coffee.” It was often hard to hear, and I didn’t always agree or follow every piece of advice. But it didn’t matter. Mark was my confidant - a complete neutral. Though he served on the board of The Clarence Foundation for a short time, he realized that he could make a greater impact by coaching me outside of the organizational system, meeting periodically over lunch and picking up the tab. Confidants, as discussed by Ronald Heifetz and Marty Linsky in their book Leadership on the Line, are incredibly valuable because they don’t have a personal stake in organizational decisions. They don’t have to face the losses that necessary change requires. They don’t have organizational loyalties that can color their views or decisions. They have an opinion, but their guiding light is caring about you and your success above all else. Mark was that person to me. Mark was a strong personality one-on-one, but he never sought out the limelight. He always kept a low profile at giving circle meetings and Clarence Foundation events, standing as the literal and figurative giant he was at the back of the room. Yet, I always felt his presence. I knew he was back there taking it all in, trying to gain insights that would help me be a better Executive Director, and a better person. Mark and I fell out of touch in recent years after I went back to grad school and subsequently pursued new endeavors. I didn’t tap his wisdom as much as I should have. At one point, I became so overwhelmed in my day-to-day work that I kept saying to myself “I need to get back in touch with Mark. I need his guidance on this one.” But other supposedly more important things took precedence that really weren’t important at all. I failed to honor one of Mark’s greatest teachings, even though he sent me a birthday card in the mail every year - a physical reminder that he was always there. Last night, I came back from a long stretch of travel and an upcoming period of more relative calm. There was a list of people in my life written in my notebook that I had neglected over the past years and with whom I wanted to get back in touch. Mark was one of them. When I came through the door, luggage in hand after a weary week, my wife Kelly had a candle lit and said “there’s something I need to tell you.” She shared the letter from Mark's wife Katie that he had unexpectedly passed away. It was too late. I never got the opportunity to get that last piece of advice, or to say thank you for being there for me through all those years, through all those hardships. Keep your confidants. Remember that they’re there for you when you need them. You may not fully realize how much they’ve meant until after they’re gone. 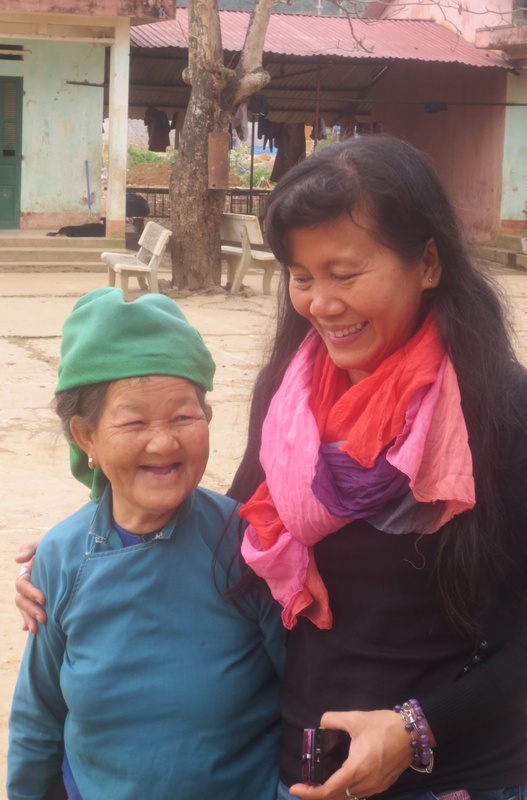 Interested in joining our next Travel Philanthropy Program to Vietnam in December 2014? Watch this video to learn about our experience last year. 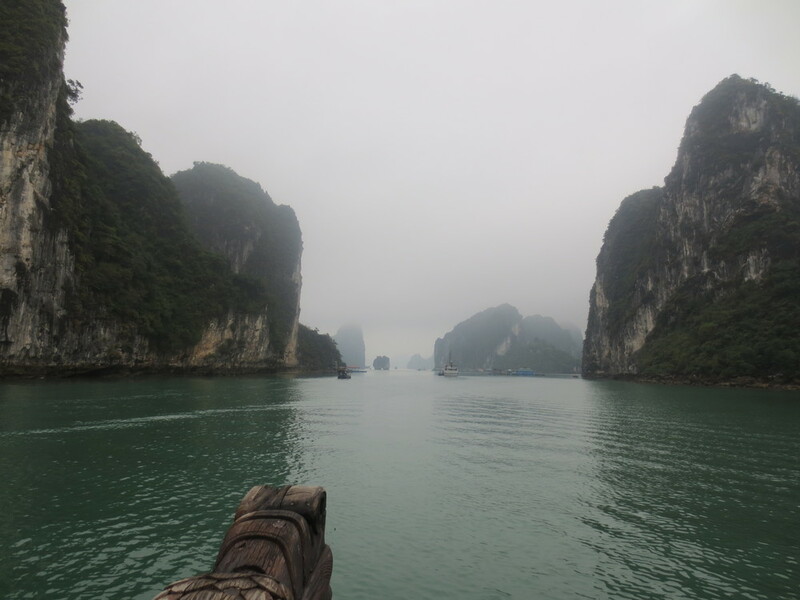 Wondering what to expect on the 11plus journey to Vietnam? Here are a few of the people we met, the sights we saw, and the food we ate during our recent planning trip. 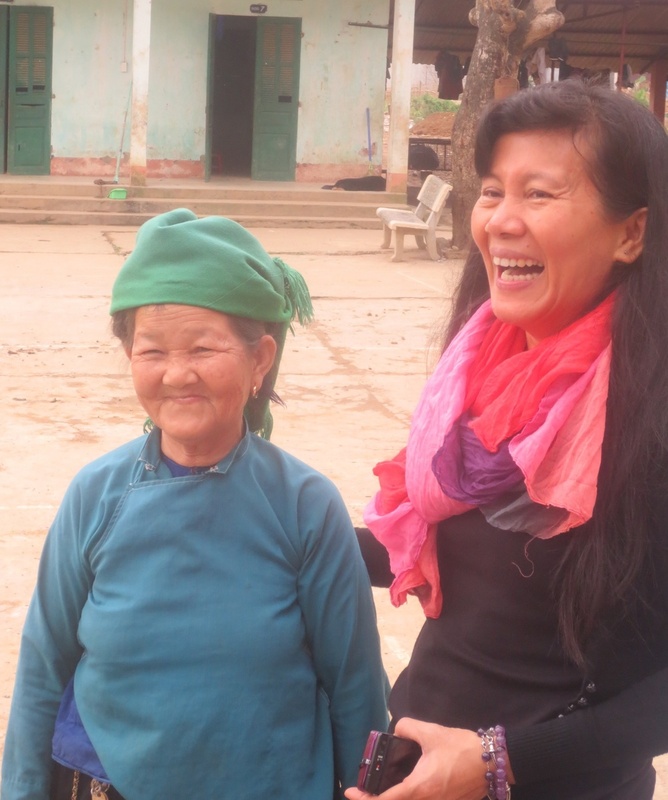 On the final leg of our trip to plan a philanthropy travel program in Vietnam, Sandy, Duy and I boarded a night train from Hanoi and began our journey towards the mountainous north to Lao Cai on the Chinese border. After grabbing a bowl of Pho for breakfast, we visited a shelter for human trafficking survivors run by the Pacific Links Foundation, a great organization that will likely serve as our intermediary partner to identify prospective grantee site visits, distribute awarded funds and ensure accountability. We were accompanied by the dedicated and heartfelt, Nguyen Thi Phuong Thao, who is Pacific Links' Program Manager in Vietnam. Phuong Thao is one of those people who puts heart and soul into her work – you can tell she loves what she does, but also feels the sorrow and anger over what these girls have been through. Much like our experience at the Little Rose Shelter, we sat down with the girls and asked about their aspirations. (To protect their identities I'm not able to post photos.) We talked about the power of persistence, coping with failure, and the fear of starting out on a new life path. 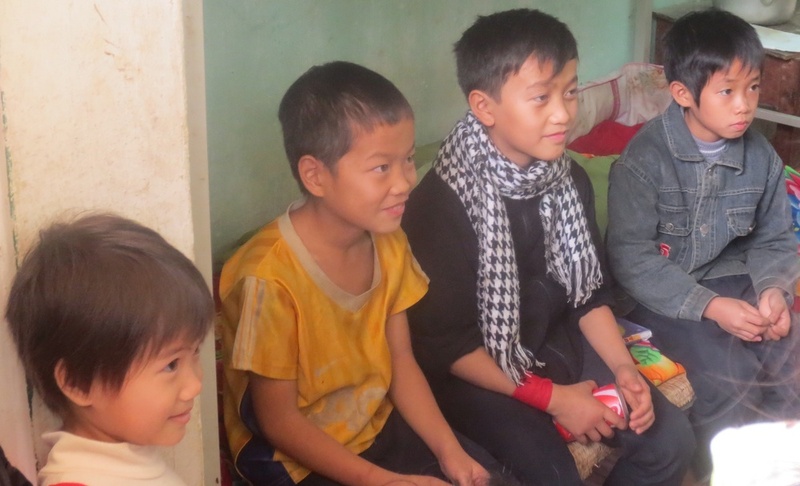 Afterwards, we traveled to the main center in Lao Cai that cares for orphans and the frail elderly. There I met this wonderous five-year-old girl who had lost both of her parents. She made a special impression on me – maybe it's because she's the same age as my daughter, Sophie, and shares her precocious nature! I couldn't help but wonder what life would be like for Sophie if her parents were no longer around. As we left the center, I texted my wife, Kelly, with a photo attached and asked (only half-jokingly) whether we could please adopt her! As our morning of site visits came to an end, we proceeded to Sapa to take in the local sights. The scenery in this area is unbelievably beautiful and inadequately captured by any photograph – grand mountains and steep valleys scattered with villages of the Hmong and Yao ethnic groups. But what I thought was going to be a leisurely afternoon turned out to be one of the more emotionally difficult experiences of the trip. The recent explosion of tourism in the Sapa area has literally brought the world into this community at a pace never encountered before. In the town market and the villages, we were approached by women and children to buy various chotchkies we neither wanted or needed. There was a desperation that itself played out as relentless persistence and even aggression at times. I was conflicted – by buying was I contributing to the problem? Were kids not attending school because their parents wanted them to earn money instead? On the other hand, these were real kids with real needs, right now. The trafficking problem is another way in which the world is encroaching on this community. Some parents sell off their daughters after receiving a false promise from the traffickers of a better future and a small payment. (Phuong Thao told us one story in which the parents received about $50 USD.) Our unofficial tour guide in a local village confided that she had sold her own daughter and cries about the thought of where she is every day. The situation in Sapa calls out for a host of responses. How can outreach campaigns better reach parents so they understand the dangers of human trafficking and protect their kids against it? How can enterprise solutions be developed that honor local traditions while providing a sustainable source of income in a fast-changing world? One thing that struck Sandy and I was the intricate craftsmanship that local women bring to their embroidery work. How could such skills be channeled in ways that meet demand in both Vietnam and internationally? 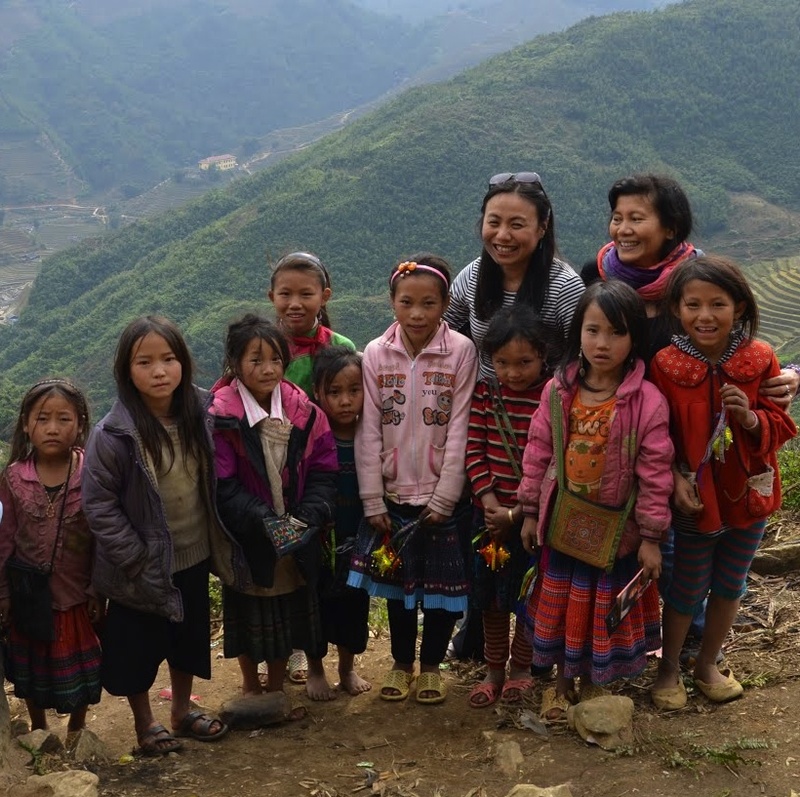 The adaptive challenges for the indigenous communities of northern Vietnam and others around the world are immense and ones we'll be exploring over the course of our trip. We'll also be considering concrete solutions and how we can contribute to them. Our travel philanthropy program will include direct interactions and dialogue with community actors who are actively grappling with these challenges. It will be a great opportunity to harness the minds of our trip participants, ask the right questions and find ways to support great ideas that have the potential for significant impact. 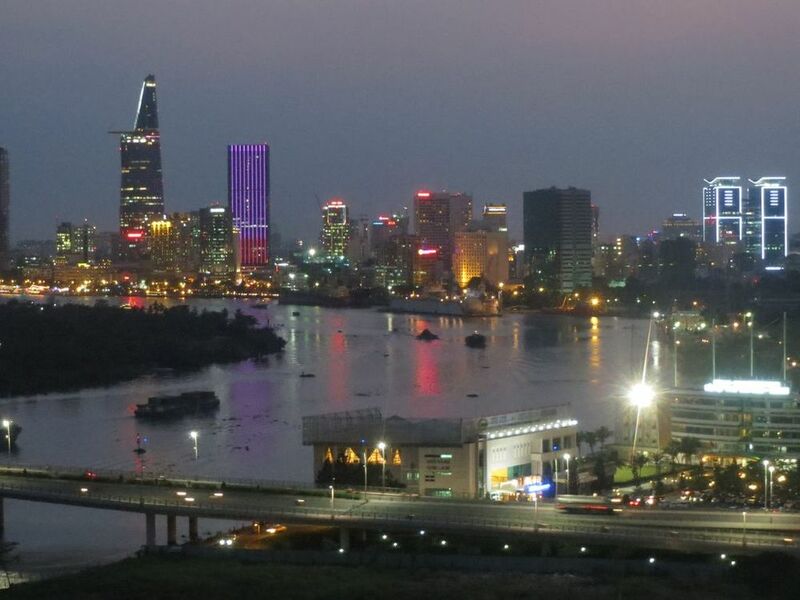 Marc, Duy (our Travel Director), and I landed in Hue, the Royal City of Vietnam at night. Immediately, we felt the cool breeze and sensed a calmer rhythm of life in this city. 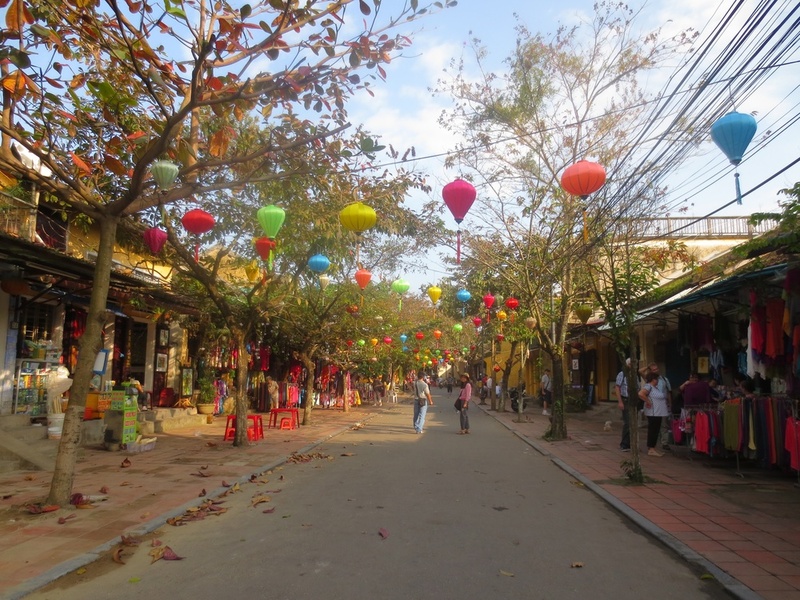 Ten years ago, I was a solo backpacker visiting Hue as an overseas Vietnamese American. Although I spoke the language, I had no connection to the culture, people, and local organizations of Hue. Even before arriving in Hue I was excited to hear the description of the three nonprofit organizations we would visit. It was like a dream to be able to meet the leaders who have dedicated their lives to serve others. Our first stop was to visit Tue Tinh Duong, a health clinic that was founded by the Venerable Hai An to serve the poor people in and around Hue. As soon as we walked through the door, forty patients were waiting in the light and airy hallway for their turn to see a doctor. The Venerable, a tall man in his sixties, began his career as a monk and a doctor forty years ago. He had started a small clinic in a temple and gradually expanded to serving 450 patients a month by providing both eastern and western methods of healing. He has now expanded to ten small clinics in surrounding temples to meet the needs of elderly seniors who cannot travel more than a mile. Furthermore, once a month the Venerable and his staff travel to remote areas to provide medical care for the poor. Sitting in the presence of the Venerable, I felt a sense of peace, humanity and purpose. I realized how much he has accomplished for people in his community and for people like me who have come to see his work and be inspired by his presence. On our next stop, we went to Friends of Hue Foundation (FHF) to visit their orphanage. We were invited to have lunch with twenty-four children aged seven to eighteen. Sharing a simple yet delicious meal with eight smiling but shy children at my table, I forgot that they are orphans who have lost their parents. One of the FHF staff confided that she was a former orphan who lived at this shelter for six years. After graduating from college, she returned to work at the shelter. Watching her caring for the children, I want to be part of this big family. In the afternoon, we met Quynh – the Hue representative of Thriive, a nonprofit organization that provides loans to successful small businesses so they can grow and hire more people. Quynh introduced us to the Hope Vocational Center that serves as a training site for people with disabilities. Ngoc, one of the founders, told us that her program has 700 graduates since 1999. With a loan from Thriive, the Center received new high quality sewing machines to help train and increase productivity for its disabled trainees and employees. I met some of the employees who have one leg and one arm, but they were smiling and talking with friends as they sewed. 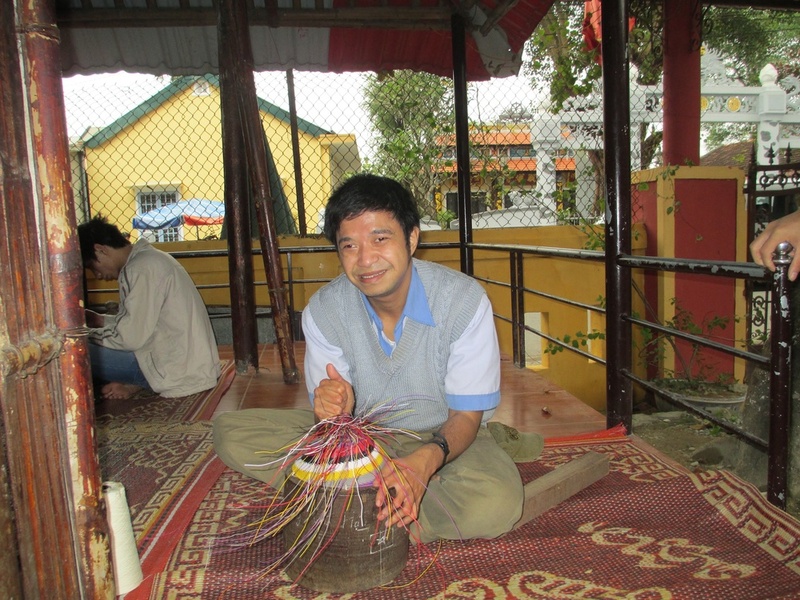 After Hope Center, we visited Bao La Handicraft Cooperative where I met twenty-five men and women sitting on the cement floor weaving an array of bamboo products. The director shared that with a Thriive loan, the Cooperative was able to purchase a power generator that has increased their productivity by 300% and tripled their workforce. In the past, whenever they lost power, which is frequent in rural areas, they had no means of resuming work and meeting the increasing demand. After a day interacting with the children, garment makers and elderly bamboo artisans, I felt a sense of collective purpose. “Be the change you want to see in the world,” my inner voice whispered repeatedly in my head. As we wound down the day with our new friends over dinner at a delicious vegetarian restaurant, I couldn’t help but feel a sense of gratitude to the people of Vietnam. Xin cháo! Sandy and I have had a great start to our journey here in Vietnam. Our first stop in Ho Chi Minh City (HCMC) was packed with meetings, site visits, and amazing food. It's hard not to be drawn into the incredible energy and vibrancy of this place, not to mention the endless stream of motorbikes! Couples and whole families often cram onto a single bike, weaving chaotically through the streets in a way that somehow works (usually). First on our agenda was to get to know our friend and Travel Director, Duy Tran, his father Thuy Tran (Chairman), George Ehrlich Adam and their Exotissimo team. As the largest travel company serving foreign visitors in Vietnam, Exotissimo will coordinate all of the logistics of our travel program, including tourist excursions, ground transportation, lodging and meals. 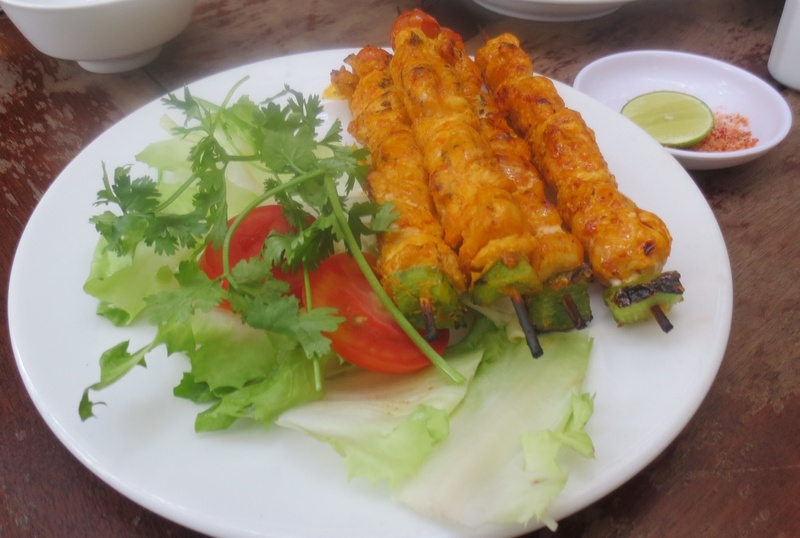 Did I mention that the food here in Vietnam is incredible? Our photo here captures one of (too) many dishes we've consumed. One of our favorites so far is Nha Hang Ngon, a bustling place in central HCMC that appeals to foreigners and locals alike. We sat on the terrace to check out the street scene while our food was being prepared on both sides of us -- it makes you feel like you're eating the street food without the side effects. The next day we stopped at Pho Hoa for what Duy rates as the #1 Pho in HCMC -- hot, sweaty and delicious! We also visited Koto, a social enterprise providing vocational training to street and disadvantaged youth. Koto is under consideration as both a site visit and a dinner spot. Ideas for our visit include cooking classes with the trainees and maybe even a master chef contest! We also hung out with celebrity chef, Bobby Chinn, at his restaurant in HCMC along with our photographer Giao and newly anointed resident historian, Bob Schiffer, longtime Director of the Vietnam Trade Council and former Senior Advisor to the U.S. Ambassador to Vietnam. We were also very fortunate to spend time with U.S. Consul General, An Le, to hear his insights on Vietnam, to share our vision for the trip and discuss opportunities for interchange with Vietnamese executives. In addition to Koto, we visited two other organizations that are strong site visit prospects. The first is called DRD, run by a remarkable woman named Yen Vo who helped us understand the obstacles facing disabled persons in Vietnam, which make up an astonishing 15% of the population. We also visited The Little Rose Shelter for abused girls. This was an especially moving experience for Duy, Sandy and I who sat together with the girls in a circle on the floor. Sandy shared her own life story, beautifully reminding how one can overcome adversity and still accomplish big things in life. We then went around the circle asking the girls to share their aspirations. Before we knew, it was lights out -- our meeting room was suddenly transformed into a dormitory as the girls brought out their floor mats and blankets. If these first three site visits are any indication, we're going to have a strong portfolio of prospective grantees and learning opportunities on our first travel philanthropy program to Vietnam. Next we go to Hue, Hoi An, but we can't leave HCMC without a special thank you to Kim Do, our gracious host here and her wonderful family. Stay tuned! Hello and welcome to the 11plus blog. The purpose of this blog is to serve as a vehicle for telling stories from our team, clients and other friends around the world. It will be a place where individuals and families share how they are encountering some of the world's greatest challenges and the inspiring ways in which people get involved and take action. We hope you'll be one of those people. Through the written stories and videos posted here, we not only intend to convey the actions and results of our work, but the everyday challenges and fails that we inevitably encounter in philanthropy. We hope it will inspire readers to think intentionally about the work of cross-cultural philanthropy in its broadest sense, recognizing that we each bring a unique perspective to the work and will frequently interface with those who have a significantly different outlook and background from ourselves. In this spirit, the blog will also focus on the practice of adaptive leadership in philanthropy -- a particularly important area of interest and expertise for our team. To get things started, Sandy Dang and I will be sharing experiences from our upcoming trip to Vietnam where we'll be planning upcoming travel philanthropy programs in 2013. To all my friends and colleagues out there, I'd like to thank you for supporting me in this new endeavor. I look forward to accompanying each other on our next giving adventure!